This is a 22×41.5mm. 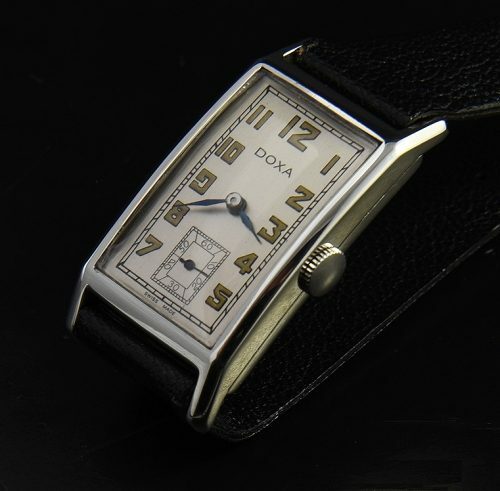 stainless steel early 1940’s DOXA having a carefully restored dial faithful to the original and maintaining the original blued steel hands. The manual winding movement was recently cleaned-accurate. Stainless steel was a difficult metal to work with in the early days of watchmaking, so we see fewer made from this metal in the early 1940’s. 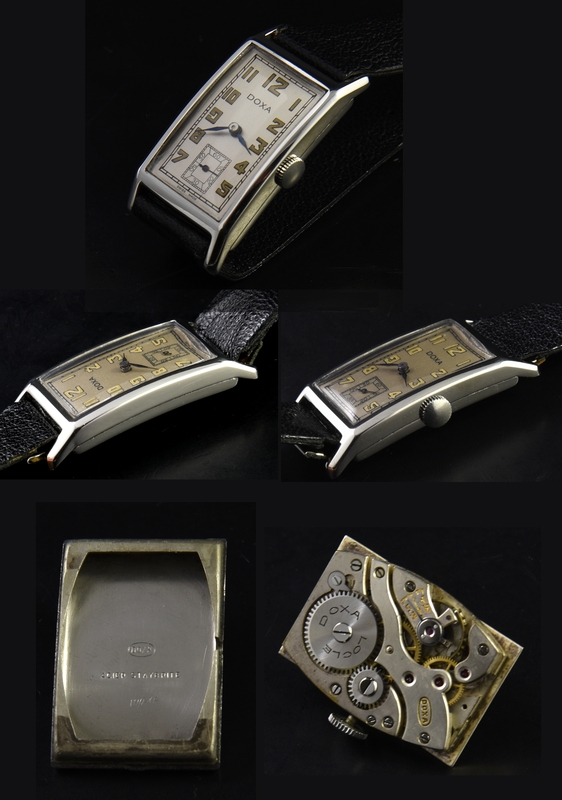 This style of watch exemplifies the sleek stylings of the 40’s. Only $695.